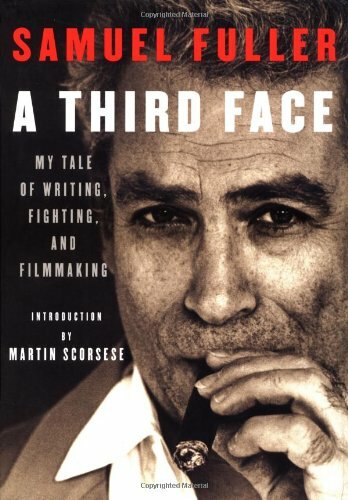 A Third Face: My Tale of Writing, Fighting, and Filmmaking by Samuel Fuller (Knopf, $35), with Christa Lang Fuller and Jerome Henry Rudes captures the life of the crusty "B" filmmaker in the best way possible -- in his own words. Fuller began working for a newspaper before he was old enough to drive and served in WWII in one of the toughest and most dangerous outfits, the big red one. When he settled in Hollywood and began writing and directing pictures, he wasn't about to take any guff from anyone. He lashed into the easy, syrupy Hollywood way of moviemaking, punched out 23 films and barely registered a blip in the mainstream consciousness. Cigar-chomping, profanity-using, and crusty as hell, Fuller spins enough great "yarns" in his own life story to make ten more movies.